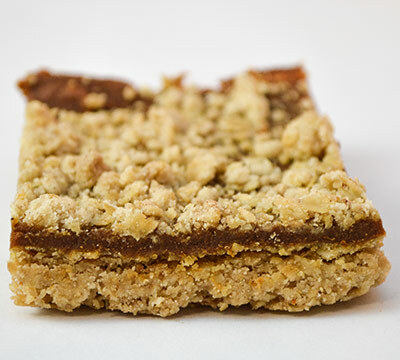 Proudly serving organic baked goods to Durham, Chapel Hill, Raleigh, and Greensboro since 1981.
wheels of steel (peanut butter, raisin, oats)A hearty trail bar of a cookie featuring brown sugar, oats, raisins, natural unprocessed raw peanut butter. A good prelude to hiking the AT or a walk along the Eno River. 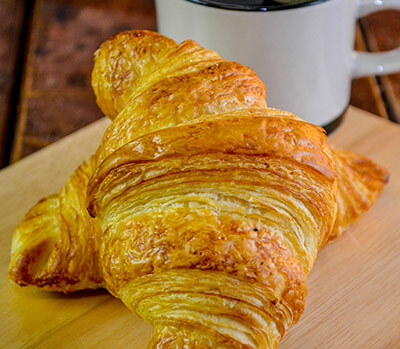 butter croissant A flaky French-inspired delicacy. Contains real butter and made by hand with great care. 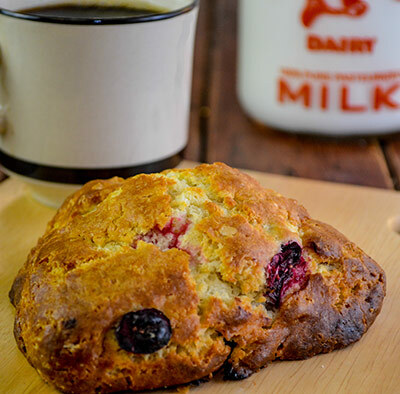 cranberry sconeFilled with juicy cranberries, this scone provides the sustenance you need to get the morning going right. 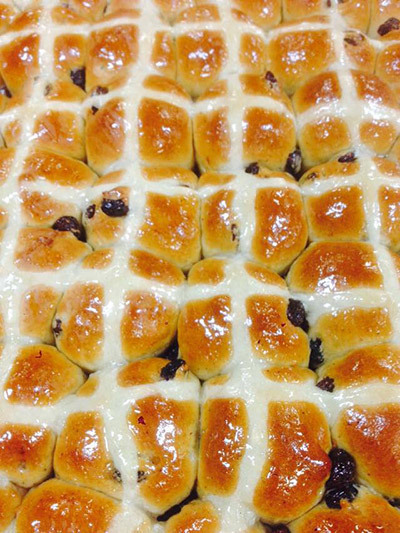 Toasted, with butter or jam, it's perfection. 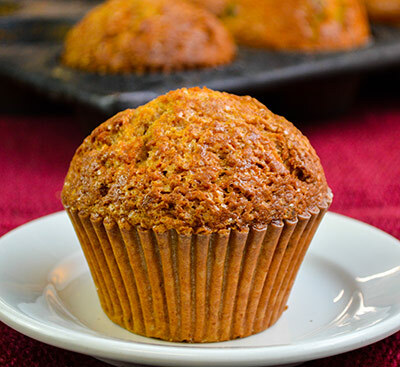 carrot muffinThe favorite of news editors and students alike, this muffin is not too sweet and contains walnuts. 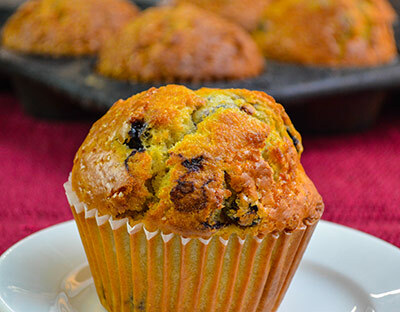 blueberry muffinEveryone's fan favorite, filled with juicy tart blueberries. 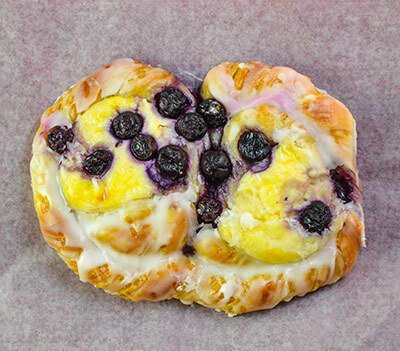 blueberry cream cheese danishOne of our most popular pastries going back to the 1990's. Loved by kids and adults alike. 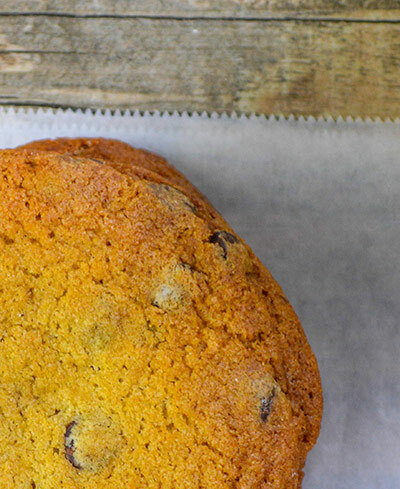 vegan gluten free coconut banana chocolate chip cookiesA new cookie that is vegan and gluten free. Extremely moist with just a touch of sugar added (the sweetness comes from the bananas - think chocolate chip banana ball). Contains nuts (almonds). 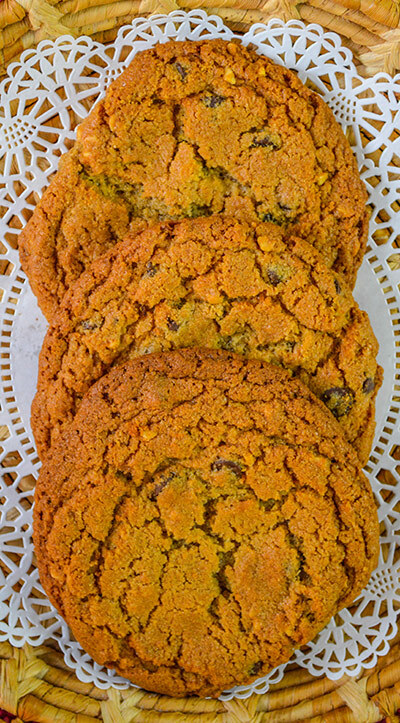 peanut butter chocolate chip cookiesThis cookie has a diehard following at our Downtown store and nearly always sells out. 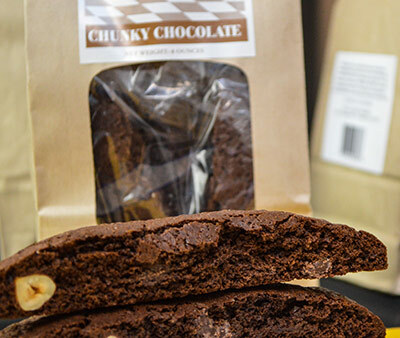 With the right mix of soft, chewy, crunchy around the edges, hearty (from the PB), and sweet, the gourmet Guittard chocolate chips will have you wondering where that cookie went so quickly, and thank goodness I ordered three. 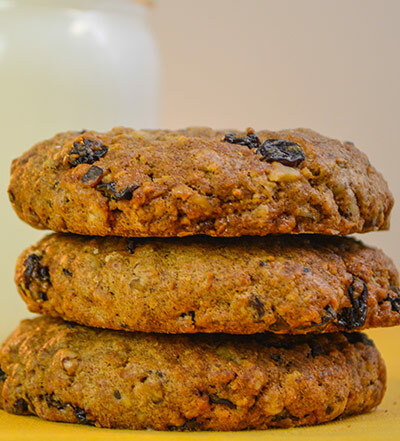 oatmeal raisin cookies w walnutsA "healthy" cookie packed with oats, raisins, and walnuts, this is a trail bar in cookie form. Slightly sweet. 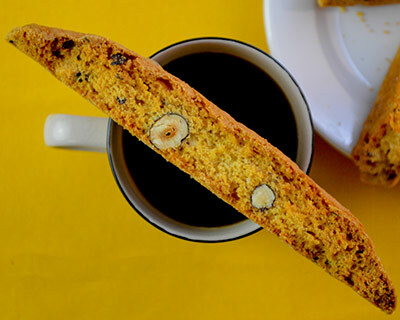 hazelnut biscottiA traditional Italian biscotti, twice-toasted, ready for dunking. chunky chocolate biscottiA traditional Italian biscotti, chocolatey, twice-toasted, ready for dunking. 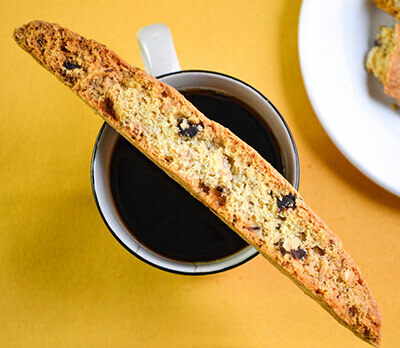 mocha almond biscottiA traditional Italian biscotti, twice-toasted, ready for dunking. 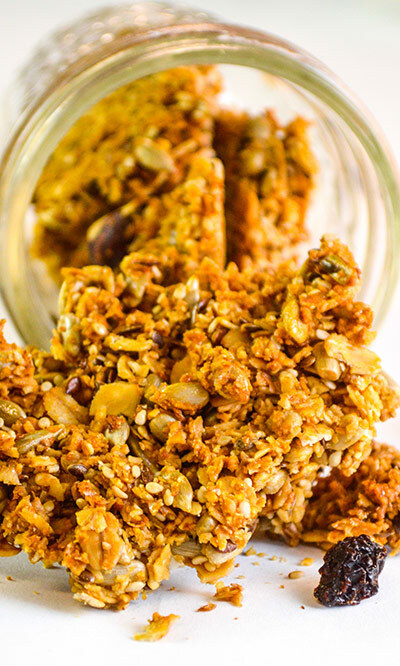 hazelnut granolaWe have been making this granola since forever and with so many seeds and hazelnuts and just the slightest touch of honey, it is an amazing way to start any busy day. 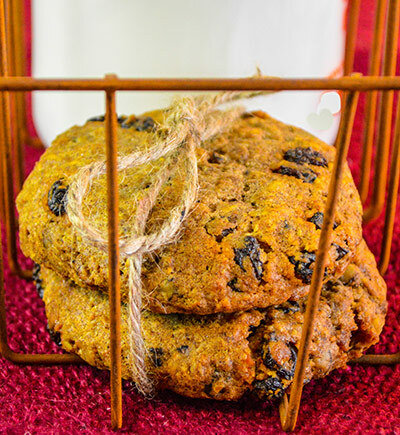 Ingredients: Rolled oats, Sunflower seeds, Raisins, Hazelnuts, Honey, Water, Oil, Sesame Seeds, Flax Seeds, Wheat Bran, Coconut, Molasses, Salt. 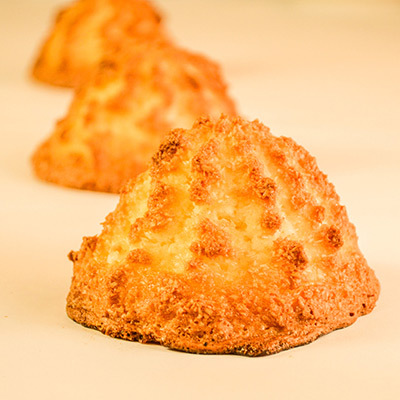 coconut macaroonA large coconut macraroon that is moist and delicious. 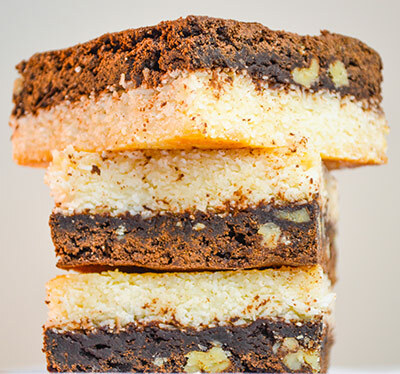 coconut brownieWith a sweet coconut bottom, this brownie is a decadent treat. 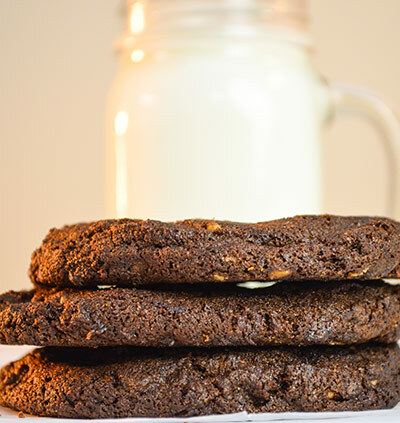 double chocolate cookie w walnutsDouble chocolate means decadence and chocolate intensity. Dotted with walnuts for crunch and flavor. 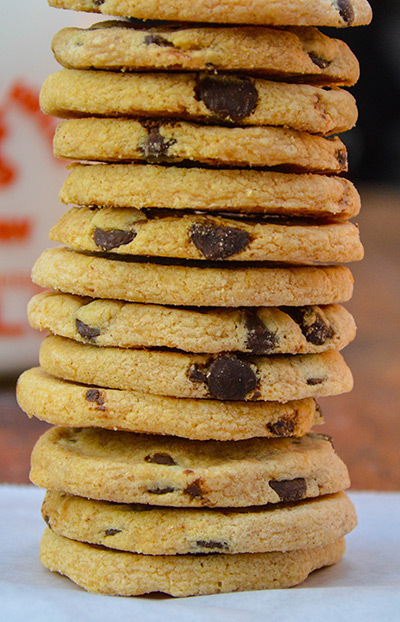 chocolate chip cookieA traditional chocolate chip cookie, large in size, moist in the center, crunchy on the edges. Perfect with milk or coffee in the afternoon or post-dinnertime. Pumpkin BarA popular vegan and gluten-free treat. Contains oats. 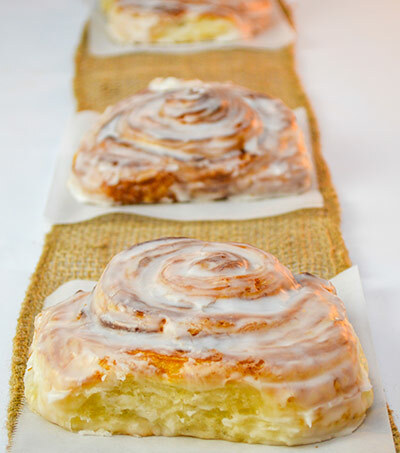 cinnamon bunOne of our most popular items, this traditional cinnamon buns is flakey, not too soft though you can stick it in a toaster oven or microwave for gooey over-the-top goodness. 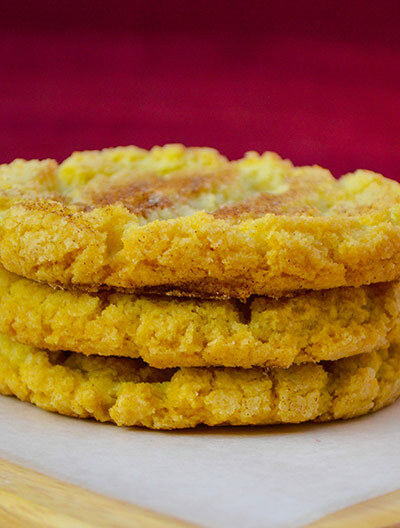 snickerdoodle (cinnamon sugar cookie)A go-to cookie for kids or adults alike, this simple butter cookie with a sprinkling of cinnamon delights the palate and leaves you reaching for another. 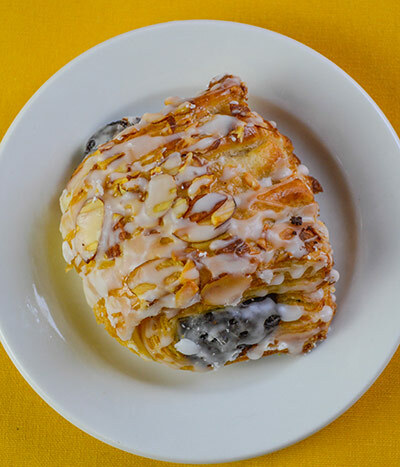 cream cheese danishTraditional flakey danish with a sweet cheese filling. chocolate chip shortbread cookies ($7.95 per tin wholesale, 1 pound)These cookies sold in a tin are a great gift for any office or other occasion. 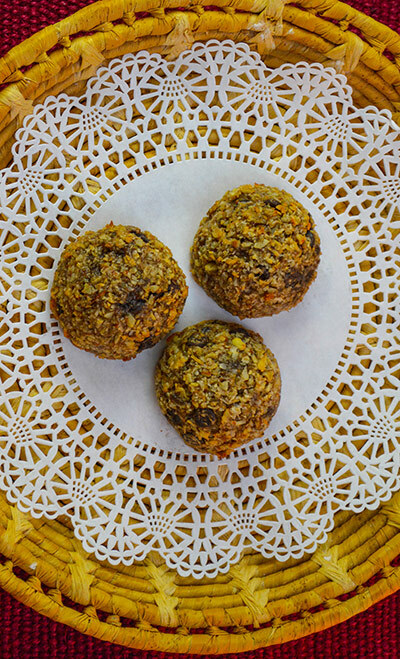 The cookies are small and bite-sized and completely delectably buttery and crunchy. 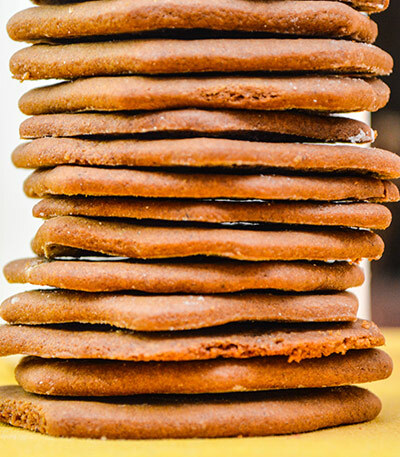 gingersnapsOur gingersnaps have been rolled out for decades to throngs of faithful fans of the wafer-thin, crunchy bite with a bit of buttery sweet goodness and the slightly acidity of a drop of blackstrap molasses. 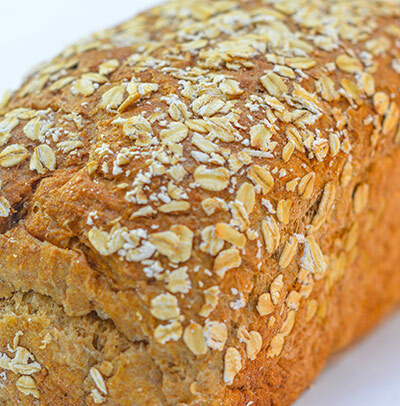 rolled oat breadA hearty loaf filled with oats, slightly sweetened by blackstrap molasses and raw wildflower honey. 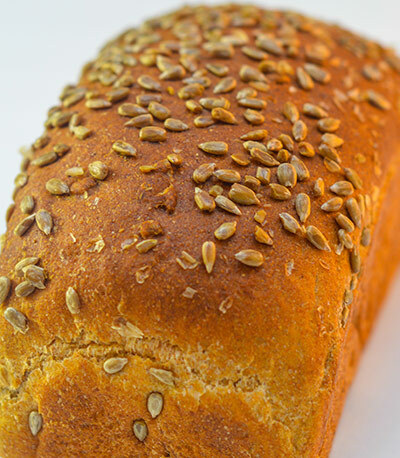 seven grain breadOne of our most popular breads, this bread contains seven grains plus sesame seeds and poppy seeds. 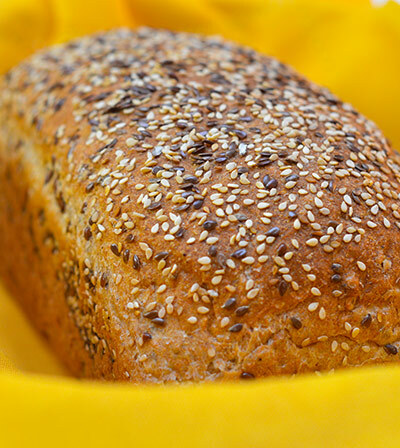 3-seed breadOur most popular bread, this bread contains sunflower, flax, and sesame seeds as well as a touch of honey and wholegrain organic wheat flour. 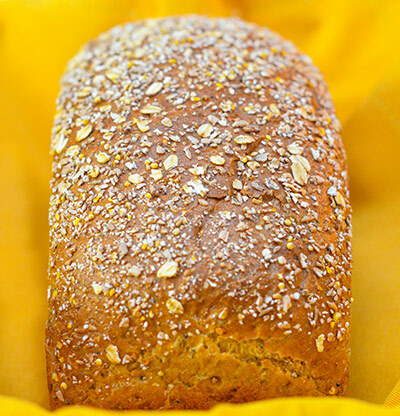 sunflower breadA rich toasting loaf or anytime bread, we don't skimp on the toasted sunflower seeds, and it contains wholegrain organic wheat flour. 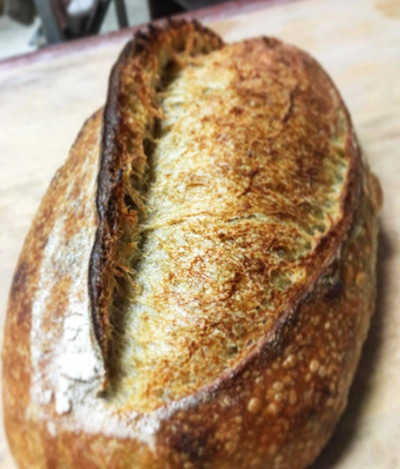 sourdough frenchWith a starter culture that slowly grows more sour over the course of a week, the natural sweet and sour flavors of this bread will delight your palate. 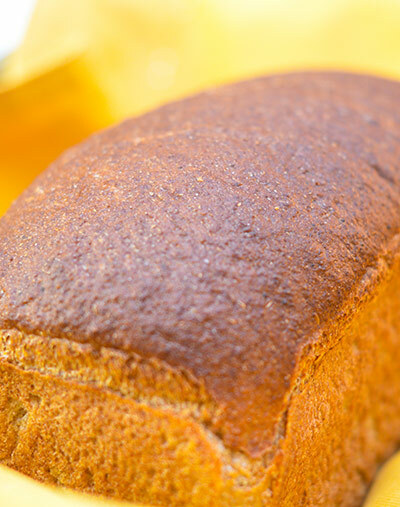 sweet wheatA sandwich or toasting sliced loaf that is rich with honey and molasses. 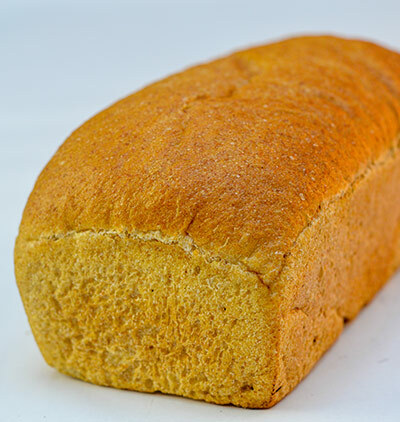 Contains in our opinion the best wheat - organic wholegrain wheat from Lindley Mills in Graham, NC. 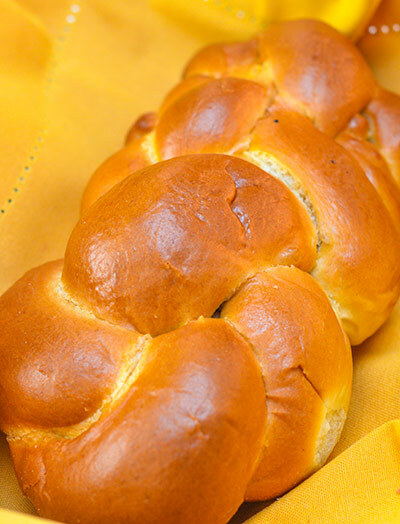 challahA favorite on Friday nights, or Saturday or Sunday mornings for French Toast. Light in texture, with the slight sweetness of wildflower honey. Dairy free. 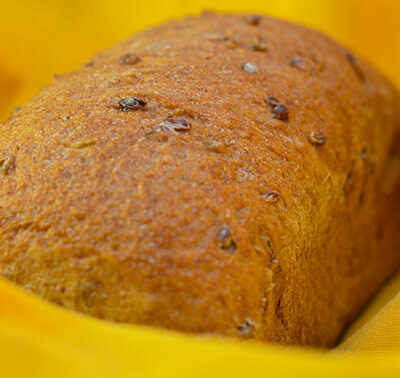 wheat berry breadOur most hearty and nutritious bread, flavored with cooked wheatberry, and leavened with all-natural starter. Chocolate BabkaPossibly our proudest achievement, the moist chocolatey swirl in this rectangular challah loaf is the best, enjoyed by kids of all ages. 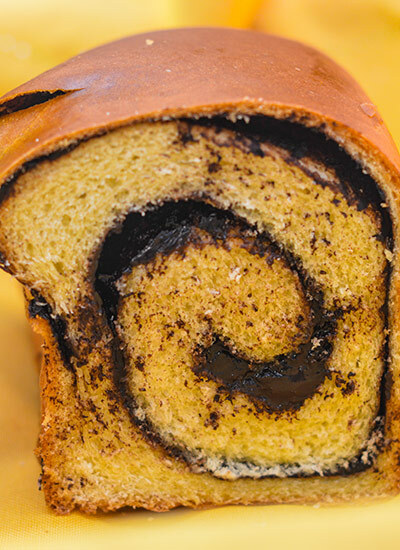 Secret word to the wise is to make Chocolate Babka French Toast - a brunchtime game-changer! Bear ClawA flakey pastry with a chocolate-nut filling. Avocado, candied slivered almonds, and spices on our long-fermented country bread. bbq chopped brisket, slaw, pickles, bbq sauce, on a house roll. bbq shredded pork, slaw, pickles, bbq sauce, on a house roll. Say no more. grilled peppers and onions optional. Ham, salami, provolone, mojo, pickles, mustard sauce, on pressed brioche. Delicious grilled veggies, including greens and mushrooms, on artisan country bread. Roasted turkey, bacon, and asiago melt topped with grilled onions, peppers, and fresh cranberry sauce. Grilled Chicken, Caramelized Onions, Lettuce, Tomato, Avocado, Jalapeno Mayo, on a Baguette. Marinated korean barbeque chicken breast, spicy mayo, lettuce, pickles, on ciabatta. Local thick-cut heirloom tomatoes, asiago, mayo, lettuce, red onion, on toasted country bread. Hot roast beef, caramelized onions, peppers, asiago, sriracha mayo, lettuce, and tomato. Hot turkey, sauteed peppers, garlic mayo, guacamole, on a soft baguette. Grilled chicken with lettuce, slaw, pickles, and sriracha mayo on house pita. 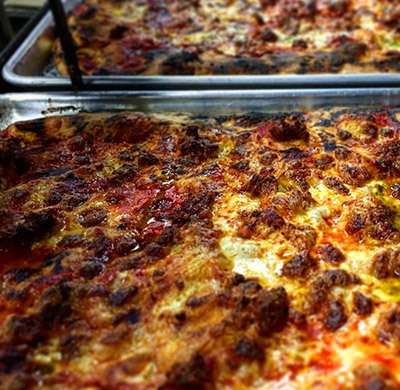 Handmade meatballs, two kinds of cheese, 6-hour sauce, toasted house roll. Ham, mushrooms, provolone, spicy peppers and onions, on a house roll. Spicy pulled chicken, asiago, lettuce, crema, on a house baguette. Hot Roast Beef, Asiago Cheese, Jalapeno Mayo, Lettuce, Tomato, Avocado, Caramelized Onions, and Grilled Peppers on an Artisan Mini-Baguette. Sauteed greens, peppers, onions, melty cheese, red pepper pesto, on country bread. Pan-seared salami, mustard, mayo, spicy peppers and onions, in a pressed brioche roll. Sriracha Mayo, Curried Chicken Salad, Lettuce, and Tomato on White, Wheat, or Seven Grain Bread. with Roasted Red Peppers, Cucumbers, Red Onions, Lettuce, and Tomato. with Cucumber, Red Onion, Provolone, Asiago, Lettuce, Tomato, and Mayo. Ninth Street Bakery opened in the spring of 1981 as a retail bakery/cafe. 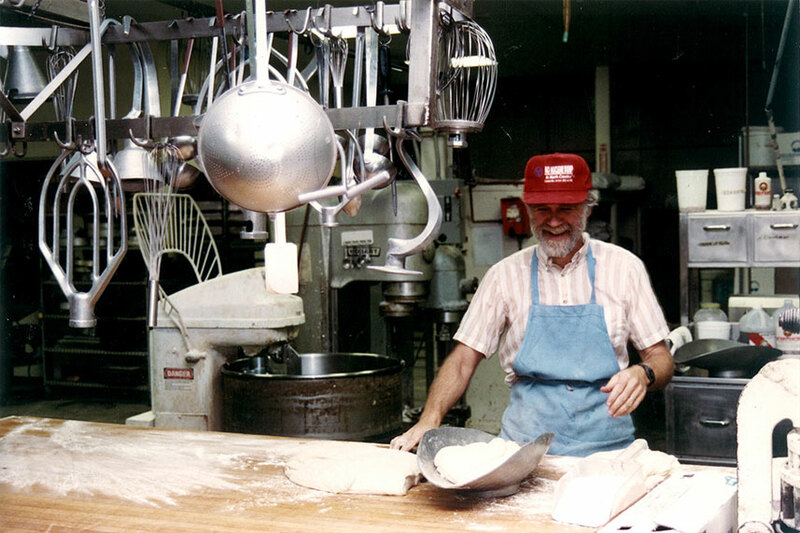 The bakery was originally founded by: George and Frank Ferrell, two brothers; Maureen Ferrell, Frank's wife; and Michael Mooney, Maureen's brother. Since 1981, the Bakeries physical location and image has changed in accordance with its shift in focus from retail to wholesale. 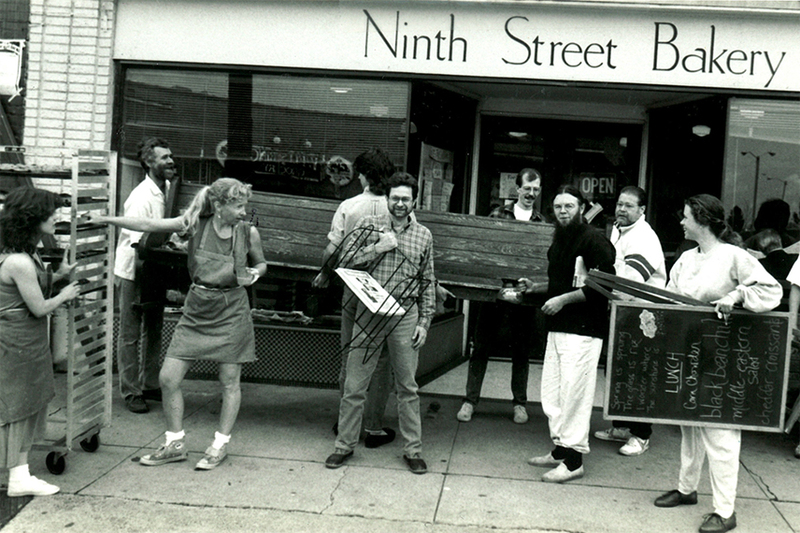 NSB first planted its roots on Ninth Street as a small café where Dain’s Bar is now. These early days were very successful, and as the business grew, so did its menu and reputation. In the '80's, the bakery was the dominant player in the organic/healthy cafe/ bakery market segment. 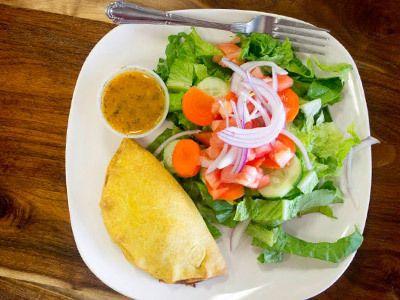 In 1989, after outgrowing its original location, the cafe moved to a different spot on Ninth Street (where Elmo’s currently operates), separate from the bakery plant, and became a full-scale restaurant—serving everything from soup and salad to coffee and dinner entrees and desserts. 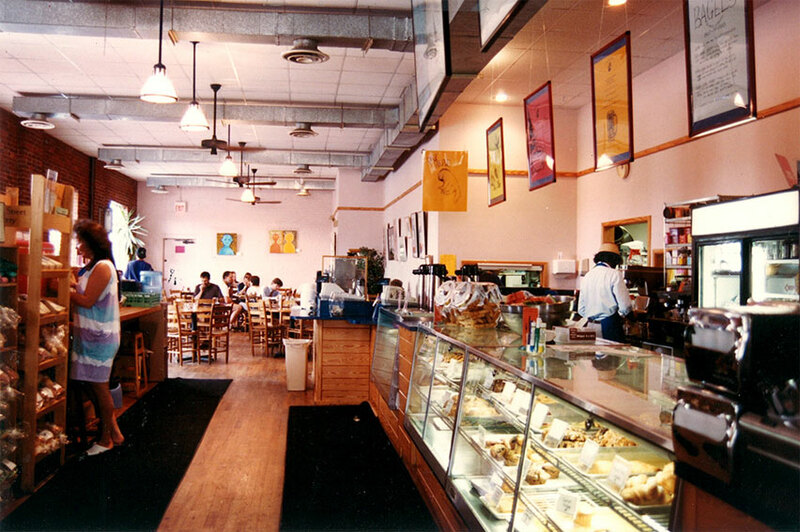 In 1992, Ninth Street opened a bakery plant in Downtown Durham where it continues to operate along with its café. 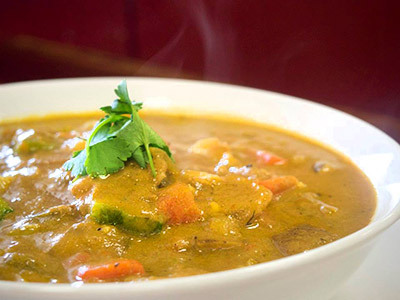 In 1996, the owners decided the restaurant portion of the business had become too time consuming and stressful, and they closed the restaurant. Elmo's Diner bought the site and operates there today. In addition to the Ninth Street site, NSB had also developed satellite cafes in Raleigh and Chapel Hill that, although fairly successful, were eventually closed. For the first 10 years of operation, NSB dominated the organic/whole grain bread market. Sales consistently increased from year to year. 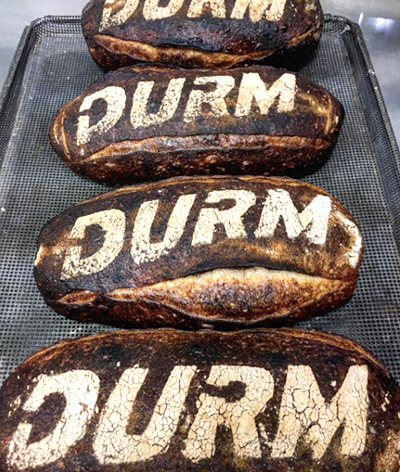 In fact, in 1992 the bakery relocated its production plant to downtown Durham in order to accommodate the increased demand. 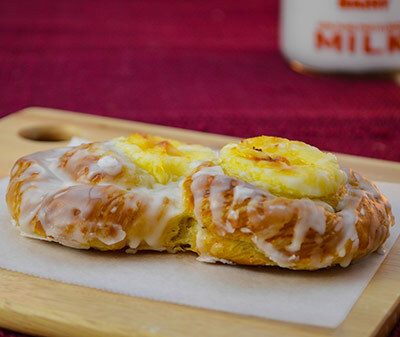 Along with the wholesale operation, a small retail take-out was opened in the front of the plant, selling primarily coffee and fresh pastries and cookies. 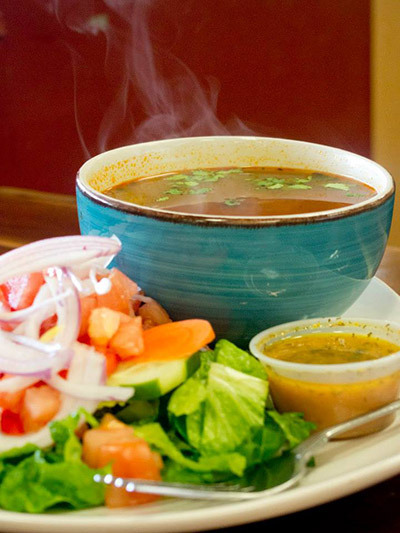 Over time, that retail has grown into a cafe with seating, selling the original items as well as sandwiches, salads, curries, chili, and soups. 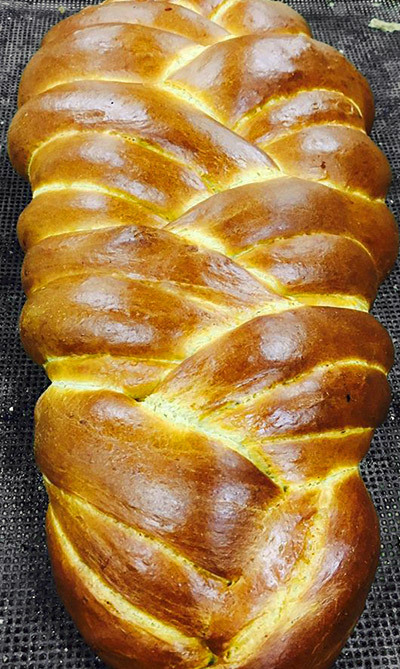 In Fall of 2013, Ari Berenbaum, an ex-Ninth Street baker and production manager (2009-2011), bought Ninth Street Bakery from the Ferrells (as well as Ray Jones, then a general manager and owner), who were looking to retire and were seeking someone who would keep the name and business intact. NSB's wholesale distribution of its breads and pastries covers Durham, Chapel Hill, Raleigh, Cary, and points west along I-85 to Greensboro. Prior to Ninth Street, Ari wrote fiction and worked in a corporate bookstore before doing a requisite stint as a graduate student at UNC. Previously, he was a home baker who attempted fifteen goes at the perfect blueberry pie (which could be found on Cape Cod and uses wild Maine blueberries). After training as a baker at Ninth Street, he started a sliding-scale baking business where anyone could purchase bread and pastries regardless of their means. 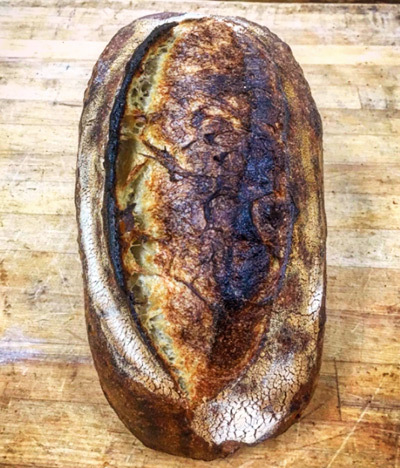 Since taking over Ninth Street Bakery in Fall of 2013, Ari has been modernizing recipes, improving quality, adding bread selections, and generally being inspired by all the new movements in both baking and the culinary arts. 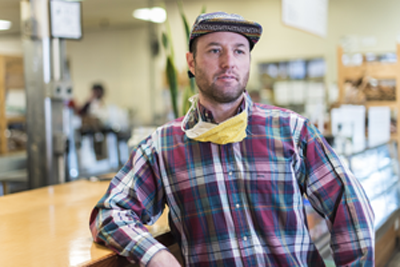 As a business owner, he cares about the Durham and Triangle communities, and hosts charitable events as well as sliding-scale classes at the Bakery on a regular basis. An assortment of our freshly baked muffins, scones, croissants and danish. Coffee Service, juice and water. Includes muffins, scones, croissants and danish. Our Regular or Decaf Ninth Street Bakery-roasted coffee served with cream and sweeteners. Cups, stirrers and napkins included. An assortment of Chocolate Chip, Oatmeal Raisin, Double Chocolate, Peanut Butter Chocolate Chip and Cinnamon Sugar cookies. This tray is full of thick fudgy melt in your mouth brownies with walnuts. Can substitute plain, coconut, or chocolate chip bottom brownies. 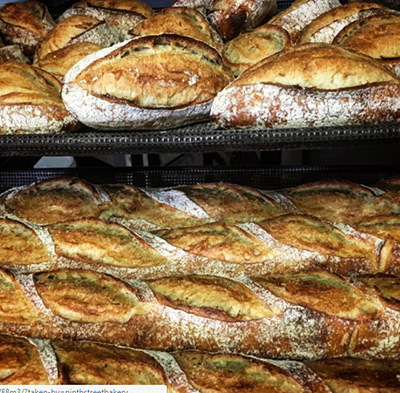 At Ninth Street we supply both to restaurants/cafes and the public, providing fine bakery products to many of the businesses in the Triangle area. If you are interested in talking to us further about what we can do for you and your business, then please email your request to info@ninthstbakery.com. Ninth Street Bakery is always looking for talented staff who are interested in baking and the culinary arts. 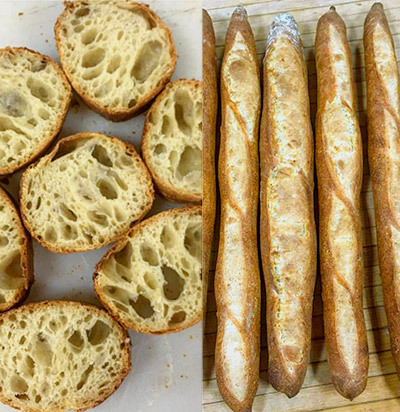 We hire bread bakers, pastry chefs, prep cooks, line cooks, as well as front of house staff. Please submit your resume and brief introduction to info@ninthstbakery.com.